Hi everybody. My name is Guglielmo Malusardi from Milano Italia. Some of you already know me, some not, so I'll shortly introduce myself. I'm a huge guitar fan, a music journalist for Axe Magazine ( we dedicated a cover to Jason in occasion of my interview with him last year). And next month we have a good surprise for you, having Hedras in our pages interviewed by miself. 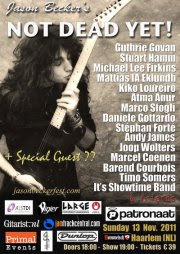 I'm organizing the Milan Guitar Day for seven years, together with Massimo Sangiorgi and I'm a presence on stage with mike in hand, in Noches de Guitarra in Spain and Ziua Chitarelor in Romania...Last but not absolutely least, I'm a proud member of the Shred Gang, together with Kris Claerhout, Ron Coolen and Laurie Monk setting up this amazing europan edition of Jason Becker Not Dead Yet, november the 13th at the Patronaat, Harlem, Holland. In order to promote massively the selling ticket and the resonance of the event all around the world, I started a couple of days ago to change my profile image with the poster of the NDY gig, suggesting the SG members to do the same as they happily do. Then I started a world butterfly effect, contacting directly musicians ( first the ones on stage in NDY gig) from Italy and abroad, asking them to do the same and then the whole number of my contacts. Target at least one million of posters of the gig in one million fb profile pics. The butterfly Becker effect is started!!! The whole very important ASL cause, will have a huge benefit as well . It's absolutely useless to invite you to do the same in terms of seconds after read my words, and push the entire number of your contacts outside this blog, to do the same. First step!!! One million posters!!! "Yn grifach gyda'n gylidd "as the welch Ovspreys rugby players say ( Together we are stronger:)! All for Jason, all with Jason! www.metalcomhumor.net Ajuda a divulgar ae Kiko? 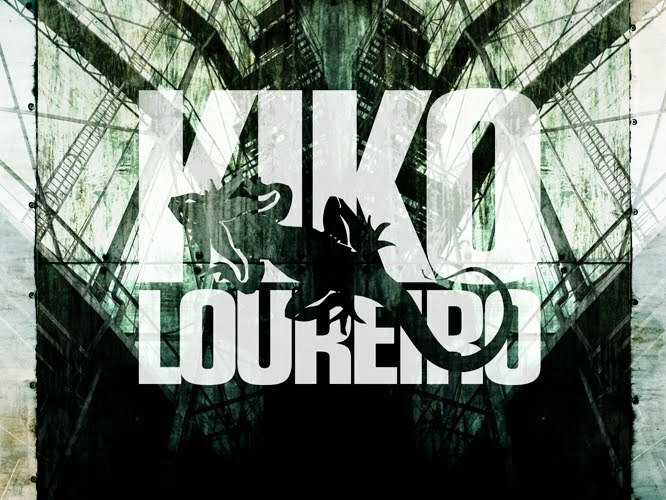 Eu sempre procurei me espelhar em guitarristas, me espelhei muito em Kiko Loureiro, principalmente na palhetada, mas sei que o meu estilo, minha forma de tocar, meu modo de me vestir, minhas musicas, devem ser únicas, nunca visto antes, é lamentável ver os plágios brasileiros.